The Lady Eve's Reel Life: Hitchcock...in 3D! 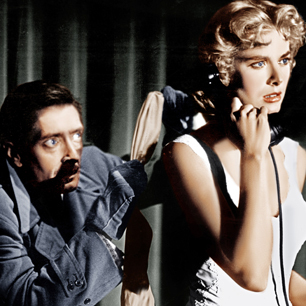 Dial M for Murder (1954) was the last film Hitchcock made as part of his deal with Warner Bros., a studio that had a huge hit with the 3D horror thriller House of Wax in 1953. On the heels of that film’s box office success, Jack Warner decreed, for the moment, that Warners would or should make all subsequent films in 3D. Hitchcock, who was ever interested in evolving filmmaking technology, agreed to make his final film for the studio using 3D. It would be his first and last foray into the process. Because it could not be released until the Broadway play it was adapted from had ended its stage run, Dial M did not come out until mid-1954, just as public fascination with 3D films had begun to wane. In fact, once it went into wide release, the film screened far more often in 2D than 3D. The first “golden age” of 3D film had lasted only from 1952 until 1954; the process was an expensive and unwieldy undertaking at the time, and other, less difficult to produce and exhibit technologies, like CinemaScope, would move to the forefront. According to AMPAS, “Hitchcock used the All-Media rig developed by the optical department at Warner Bros. to experiment with stereoscopic techniques…” To emphasize the impact of 3D, he paid great attention to the film’s art direction, in particular, set design and decoration, as well as the placement of actors within each scene. Since the action, based as it was on a play, takes place primarily on one set, a London apartment interior, this sort of approach was a necessity. Of course, in the hands of an artist of Hitchcock’s caliber, 3D became a showcase not only for the drama at hand but, simultaneously, showcased the process itself. Hitchcock’s distinctive style coupled with the potency of 3D makes for an intense and evocative film experience. All that transpires onscreen - from a woman quietly reading her newspaper to a violent scene of attempted murder - is enhanced by the director's grasp of the 3D format. 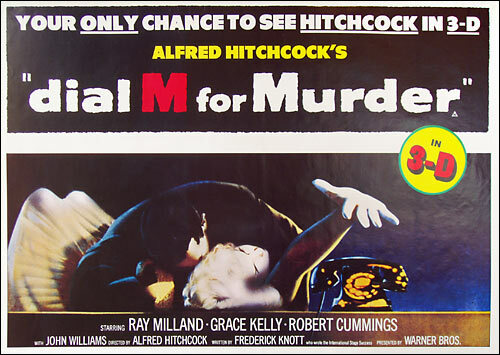 I have seen Dial M for Murder many times in 2D. I think it may have been the first Hitchcock film I ever saw. There was once a local Los Angeles TV station that aired a different movie every week, all week: in the early evening five nights, Monday through Friday, and then again Saturday night. One week the movie was Dial M. And I watched it every night. Hooked by Hitchcock at a young age! But Dial M hasn’t been a favorite of mine. After seeing Vertigo, Rear Window, Notorious, Strangers on a Train, Shadow of a Doubt, Psycho, Etc., it seemed fairly tepid fare. 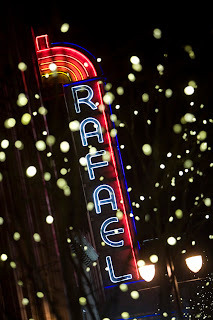 And yet, when I found out it was to be screened at the Rafael, I instantly purchased tickets. I had realized by now that Hitchcock on the big screen is a superior experience to Hitchcock on the small screen (even on a good-sized small screen in HD). This realization first dawned on me when I attended a screening of the silent version of Blackmail (1929) at the Rafael a few years ago and grew more profound with later viewings of North by Northwest (1959), also at the Rafael, and Vertigo (1958), at the Paramount, Oakland’s Art Deco movie palace. I was not disappointed with the newly restored Dial M for Murder in Dolby 3D. At all. With visual depth and dimension it seemed to me a different film. Where, before, the film had seemed as flat as its two-dimensional format, it now, literally, came to life. I’d thought of it as talky and static (as filmed plays often are) but now its atmosphere teemed with suspense, every word spoken implied more, facial expressions and physical movements suggested barely concealed undercurrents. Dialogue-heavy as it is, the film now seemed to move along at a brisk clip. Though one scene was obviously designed for 3D (and must’ve caused quite a stir when the film was first shown), Hitchcock clearly understood 3D and exploited it with precision in every frame. 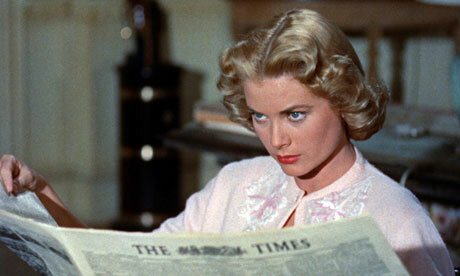 Among Dial M for Murder’s claims to fame is that it was the first of Hitchcock’s three films starring Grace Kelly. He had first seen the young actress opposite Robert Alda in an early ‘50s screen test for Taxi, a film that was never made. She would go on to make High Noon (1952) with Gary Cooper for Fred Zinnemann and Mogambo (1953) with Clark Gable and Ava Gardner for John Ford before Hitchcock managed to cast her in Dial M. If director Gregory Ratoff thought Kelly was perfect for the role of the Irish lass she might have played in Taxi because, he said, “she’s not pretty,” Hitchcock saw something else entirely. By the time the two were finished making pictures together in 1955, Kelly was vaunted as one of the most beautiful women in Hollywood - due in no small part to Hitchcock’s presentation of her. Thanks to the resurgence of 3D, Dial M for Murder can now be seen as it was originally conceived and appreciated as the bona fide classic it is. I enjoyed reading your new take on Dial M for Murder, based on your seeing it in 3-D. Some films just pop of the screen in 3-D (like Hugo). You are lucky that you live near theater's that still show classic films. Kim, Dial M was my first 3D experience (and I don't have Blu-Ray at home yet), so, being a Hitchcock lover, this was a doubly special experience. 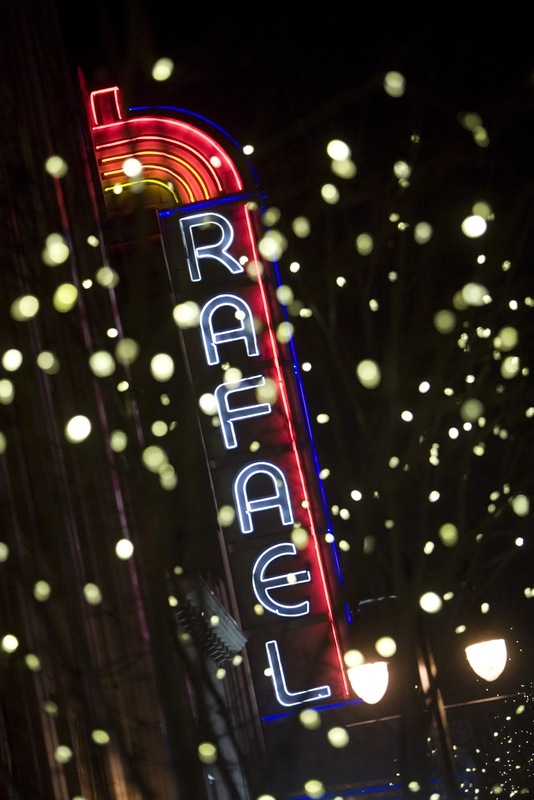 There are a few theaters in my area that screen the classics, but the Rafael is very close by - and you're right, I'm very lucky. Sandi, One thing that struck me watching North by Northwest on a theater screen was Cary Grant's enormous presence and just plain star power. He seemed to fill the room - and with so much charm. Now, THAT is a superstar. Sounds like an awesome experience! As I think you know, a few weeks ago, I caught Gone with the Wind on the big-screen of my city's historic theatre. It was a magnificent experience---the way those great classics were MEANT to be seen. So, I can fully relate to your feelings about Hitch on the big versus small screen. I can only imagine how much more awesome it was on the big screen in 3D! 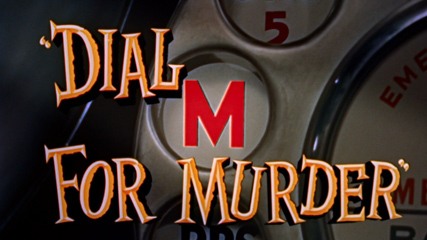 While "Dial M for Murder" is not my absolute favorite Hitch film ("I Confess has that distinction), it is in my top 5. I love seeing Ray Milland in that kind of role. Thanks for sharing about your awesome movie afternoon. Patti, I hope you have a chance to see Dial M in a theater in 3D - I would go again in a heartbeat. The meeting between Tony Wendice (Milland) and Swann (Anthony Dawson) is really powerful on the big screen. Every word, glance and move is enhanced and suggests the cat-and-mouse nature of what's going on between them. Ray Milland is a very fine cold-blooded schemer. I remember the 3D films from when I was a child, and I thought they were awful, a couple of times they gave me double vision. The process has evolved light years from where it was, films like"Life of Pi" put it to great use. For me, though, most of the recent 3D films I've seen have used it more as a novelty, like an amusement park ride. I've, on different occasions, seen the same film in both 3D and 2D and have often preferred the 2D - I find it less distracting from the story, the acting and just about everything else. Plus, there's the notorious darkening of the image, which depending on the equipment in the theater, can be sometimes pretty pronounced. I'm curious about how I would see the 3D process in "Dial M" - I'm sure they did as good a job as possible in the conversion - plus seeing it on a big screen is a big plus. I'm sure that even now we have quite a way to go before they bring the process to what it can be. 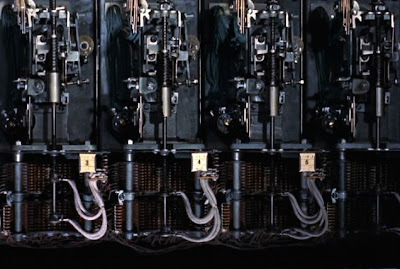 It's usually used in blockbuster action or fantasy films (Tim Burton's "Alice In Wonderland" made a billion at the box office) - it would be interesting to see it applied to a Hitchcock film, especially since he had designed "Dial M" for the 3D process, as it was then. "Dial M" isn't one of my top favorites of Hitchcock films but I've always enjoyed it, and Grace Kelly is already a special effect that's difficult to improve. MCB, After seeing Dial M in 3D I couldn't help wonder what Hitchcock might have done with North by Northwest and Psycho had the process been used on those films. Actually, he could probably have used 3D to fine effect on every film after Dial M - he really knew how to make the most of it. Even the dramatic attack scene in Dial M, which was clearly designed for 3D with precision, was not overdone - but very effective. I think I'm ready to see "Life of Pi" now. Despite most critics always considering this a minor Hitchcock film, I have always liked it and it has been a personal favorite. I like the storyline, the setting, the atmosphere and the cast. Have not had the opportunity to see this in 3D unfortunately. Hopefully, some day that will change. Enjoyed as always! John, I was quite taken with Dial M the first time I saw it (I should say, the first five times, since I watched it every night of the week it was on KTLA, or whatever the channel was). But I ultimately preferred many of Hitchcock's other films more. And I've never thought Bob Cummings was ideally cast. BUT, the 3D viewing has changed my estimation of the film. You must see it in 3D to fully appreciate it, I think. Lady Eve - You make me want to see it. I have never warmed much to Dial M, it always seemed claustrophobic to me. But this may be horse of a different color. Thanks for the incentive. Christian, I hope you have the chance to see Dial M on the big screen in 3D. And I hope if/when you do, you'll share your reaction with me. Hitchcock's masterful use of 3D is additional proof of his cinematic genius. Fascinating. Like you, I've seen the film many times and it would be quite the experience to appreciate it anew. CW, Dial M in 3D seems to be making its way around the country - and, I'm hoping, into Canada. If you have the opportunity, PLEASE make sure to see it. I only wish I'd gone to the 1st instead of the last of its 3 screenings here - I'd have gone again, without hesitation. Eve, I'm so jealous! While DIAL M has always been second-tier Hitchcock for me, I've come to appreciate it a little more over the years. Ray Milland should have played more bad guys! I wish you had been at the theater with me Rick so we could've discussed it afterward. I'm not sure where I'd put Dial M on my list of Hitchcock films now - definitely quite a bit higher than it was before. Very interesting -- I was never aware that Dial M was made for 3D. Like Rick, it has never been on my top Hitchcock list, but it is good. I imagine it was thrilling on a big screen, especially in 3D ... I've never met a movie yet that wasn't better on the big screen! Great piece, Eve! Becky, It wasn't a favorite of mine either but Dial M was quite a different experience in 3D on the big screen. So enjoyable that the audience even gave it an enthusiastic round of applause at the end. I would love to see this one in 3-D. So glad you had the opportunity to do so, and were able to share it with us. Thanks, Kevin. I've noticed the film (in 3D) is showing in major cities around the US. I hope it comes to a theater in your area. I am so jealous! This would be a fantastic experience! If it comes to our area, I am dragging my poor husband with me. This was an excellent analysis of Hitchcock and his grasp of the 3D process. R.A., Your "poor husband" might just enjoy it - if nothing else for the 3D experience. If you do have the chance to see it, I'd love to hear about it. Are your ears burning? I just had a discussion with a coworker who watched "Dial M" for the first time. I told him it was originally filmed in 3D but had never seen it in this format. So here you are with a review of it in 3D! I've been on a Hitchcock kick of late and I hope this comes to the Chicago area. I'd love to finally see it the way it should be seen. CFB, I'll bet Dial M in 3D will make its way to Chicago. Absolutely a must-see (as if I need to tell you that). A revelation, really.